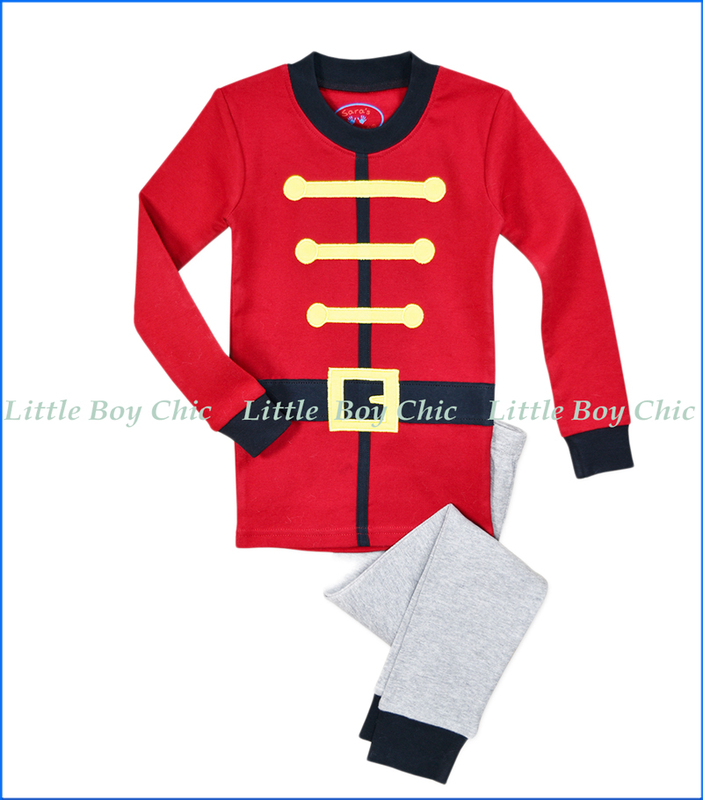 For the Nutcracker cosplay enthusiast these PJs by Sara's Prints are true winners. Appliqué buttons and belt. Heathered grey pants. Contrast crewneck and cuffs. Elastic waist and cuffs. Soft hand feel. Snug fit. Top: 100% Cotton. Bottom: 88% Cotton / 12% Polyester.